We will provide the hardcopy of the certificates only based on author request.additional charges are applicable for the hardcopy. International Authors we are not providing hardcopy to out of India. NOTE: above charges include only dispatching all the hardcopy to corresponding author. Please follow following procedure for the hardcopy. 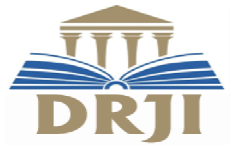 Login in your AUTHOR HOME account (LInk- http://www.ijedr.org/Authorhome/alogin.php) by your paper registration id and first author mail id. Pay the hardcopy charges. and update residential address. 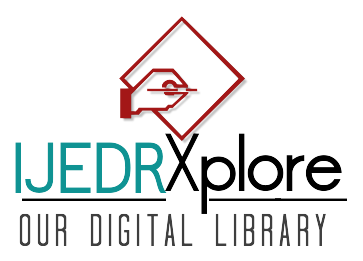 After completion of payment process please send payment proof (Scan copy/screen shot of payment done by you) to editor@ijedr.org also mention paid amount, transaction ID, and date of payment in the mail. we will give acknowlegment regarding your hardcopy papyment received or not. and dispach hardcopy to corresponding author. We will send Hardcopy of certificates (Author wise individually), single copy of publication letter and single copy of Published paper to only corresponding author only. Kindly check all the details in softcopy. (i.e. in Published paper, E-Copy of certificate, E-Copy of publication letter) And if any of the details is inappropriate then inform to us within 3 days of this mail. Once shipment of hardcopy done then we will not correct it. REFUND POLICY: By default, ALL THE PAYMENTS ARE NON-REFUNDABLE. "No-shows" or “Extra-Page Payment” or “Excess Payment” or “Additional Payment” are not refundable and liable; and will be considered as the donations.